Conscious breathing is an important method for maintaining your well-being. It’s a big part of meditation. But if you’re not interested in meditating, or it just seems like too much work, try this! It’s easy, anyone can learn this technique and use it anywhere, on a regular basis to strengthen both mental and physical health. What is conscious breathing? 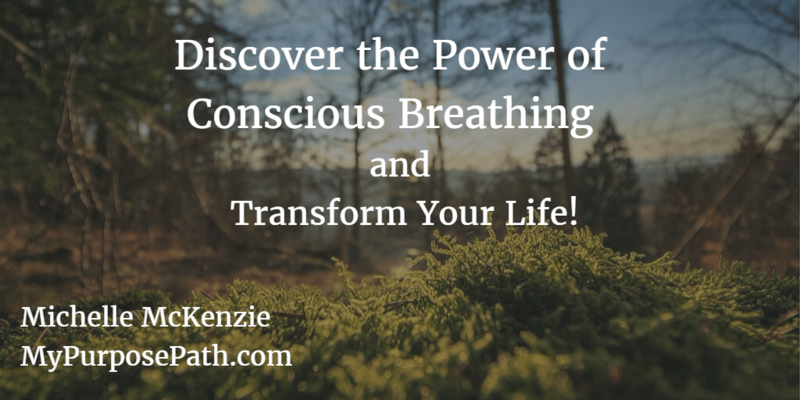 Conscious breathing is becoming aware of the way you take in oxygen and release carbon dioxide from your body. It’s just paying attention to your breathing. It’s possible to use this technique during your normal activities. There are different types of conscious breathing methods, but they all have similar aspects. Conscious breathing can decrease stress (BIG time!) and give you inner peace. It can help you focus during difficult moments. It can reduce fear, worry, and anxiety. It can help you deal with daily conflicts and issues. Conscious breathing can help your mind by giving it enough oxygen to focus and strengthen your concentration. It can have a positive impact on memory and test results such as exams in school. Practicing conscious breathing on a regular basis can strengthen lung function and reduce asthma. It may not be able to reverse all damage or issues, but it can make a difference. Conscious breathing can also positively affect the cardiovascular system. Your body needs a constant flow of oxygen to function properly. By getting more oxygen, circulation and blood flow improves. Conscious breathing forces you to breathe through your nose. Breathing through the nose is healthier. It can make your mouth less dry. A dry mouth can cause tooth decay and affect the overall health of the tongue. You might even reduce or eliminate snoring because, when you snore, you’re breathing through your open mouth. Even your relationships may improve with a decrease in snoring! Conscious breathing can enhance your sleep and give you energy. Conscious breathing can also affect your weight. Deep breathing can reduce snoring, which can affect the hunger hormones. When you snore, you don’t get enough rest, so the hunger hormones increase and cause weight gain. How to practice conscious breathing. Conscious breathing requires you to focus on how you breathe. It makes you think about the process and regulate it. Conscious breathing forces you to live in the moment and enjoy it. You can become more aware of the process by putting your hand on your stomach. Relax and breathe in deeply through your nose. As you breathe in, your abdomen will rise. Then, pause and exhale gently. You can feel your abdomen go back down as you exhale. You can even practice conscious breathing by visualizing the air coming in through your nose (SEE the air—make it a color. I add sparkles to mine! ), going down into your abdomen (below the belly button) and, when expelling air, visualize it going down through your legs, then feet, then into the earth. That’s called GROUNDING yourself! Try conscious breathing in a quiet room or outside in nature (my favorite place!). Avoid interruptions from phones or other devices. Combining meditation with conscious breathing makes the technique even more effective. Conscious breathing is a teachable process that is easy to learn. It can have a amazing results on how you feel about yourself and those around you. ← What is Neuro-linguistic Programming (or NLP)?